We’ve done the research put in the work, and narrowed down the options, so you don’t have to. Today’s bicycle market is packed full of choices. From road bikes to mountain bikes and everything in between, there is no doubt that today’s cyclist can get overwhelmed with some options. When it comes to cruiser bikes, there are hundreds of brands, levels of performance, and prices to take into consideration when making a decision. How Did We Pick the Best Cruiser Bikes? Why own a cruiser bike? What to buy with your cruiser? Looks good with the available colors. The Pedals are not one piece, in fact they are several pieces that fit together. The 21-speed helps you tackle demanding street, long distance, trail and uphill riding. Performance: How the bicycle handle in different landscapes. Durability: How much maintenance it requires and how long it typically lasts before it needs to be replaced. Comfort: Self-explanatory – how comfortable the seat, frame, and handlebars are. As well as how long you can ride the bike before feeling any pain. Ease of use: How easy it is for new riders to maneuver the bike’s elements and, overall, how easy it is to drive. Price: We have cross-referenced performance with price. In some cases, lower priced bikes are more comfortable or easier to use than the higher priced products. Appearance: No one likes to ride an ugly bike! Appearance and attractiveness were our last factor to consider. To be unbiased and impartial, I’ve also included the opinions of several other cyclists and taken into consideration their reviews. We analyzed the final results and ranked the top 7 choices starting with the best beach cruiser bike to buy this year. The Firmstrong Urban Lady Beach Cruiser Bicycle is the best beach cruiser bike for women to buy this year. The woman’s version of this bike offers the benefits as the men’s version but is specifically designed for the woman body. The best feature of this bike is its incredible comfort. It offers a smooth ride for hours even on uneven roads. The wide tires are perfect for long trips and come in two different sizes for your comfort. I could honestly spend hours riding on the Firmstrong and not get tired of it! This bike is perfect for women of any age. The cushioned ride that it offers allows older women to commute for as long as they are capable of comfortably. The Firmstrong is also ideal for the lady who’s just started riding bikes since it’s easy to use and doesn’t have complicated features. Overall, this is a great option for cruising any landscape and for extended periods of time. Buyers tend to look for bikes that have the possibility for upgrades. Not only does the Firmstrong come in a variety of styles, materials, and colors, but it can also be easily modified and transformed into a hybrid bike. This bike covers all the features you need to easily upgrade it and add new gadgets to it. Like the Firmstrong Urban Man Beach Cruiser, the lady version is made with durable materials including stainless steel and aluminum. If cared for correctly, this bike is extremely durable and will last a lifetime. The Firmstrong Urban Lady Beach Cruiser is well suited for some landscaped and road conditions. If can be used on the road or, as its name suggests, on the beach. What is most attractive for this design is that it doesn’t have extra hanging cables, complicated gear systems, or additional options that could make it difficult to drive. This smooth ride is perfect for new riders and can cruise up to 15 MPH. As mentioned before, one of the best features of this bike is the comfort. There are two wheel sizes available. This feature is essential for taller ladies that get fatigued easily in small bikes because they are not suitable for their height. The bigger wheel is 26 inches wide and can fit women up to 6 ft tall. The larger wheel gives taller riders a smoother ride and prevents back pain from having to crouch down. For some rider, this might be the last thing they think about when choosing her new cruiser bike; however, it’s indeed a nice-to-know choice. An affordable alternative to other brands. Not suitable for woman taller than six ft.
Can be quite heavy to transport. Q. How much building is required upon delivery? -Most of the bike comes assembled. However, the handlebars, front wheel, seat, and pedals require attachment. Overall, assembly takes less than an hour. Q. Is it suitable for tall riders? -The 26” wheel is good for women up to 6ft tall. Q. How much weight can this bike handle? -The Firmstrong Urban Lady Beach Cruiser can carry up to 350 lbs according to the Firmstrong website. Q. How big is the frame of the bike? -The frame of the bike is 15.5 inches. This cool and trendy bike is one of the higher priced women bikes in the list. The Sixthreezero EVRYjourney Women’s 26-Inch 7-Speed Step is excellent for touring, exercising and commuting to school or work. It comes in a beautiful teal color that appeals to everyone and gives the bike a young and classy look. The Sixthreezero EVRYjourney Women’s 26-Inch 7-Speed Step features a Shimano 7 Speed Internal Hub which gives the bicycle a smoother ride in many scenarios including flat pavement, uphill riding, and long distances. It is specially designed to keep your posture straight for better health. In light of that, the pedals are also perfectly designed for proper leg extension. Overall, the design improves your posture and prevents knee and leg pain by keeping your feet slightly in front of you and your back in an upright position. Made mostly from aluminum, this high-quality bike is sure to last you as long as you need it. It can sustain any terrain while remaining sturdy and durable. It has a gear system that is top of the line, making your gears last forever. Avoid rough terrains or salted roads to prevent rusting. This will help you keep the bicycle looking like new. Although it comes with a sophisticated gear system, it is surprisingly easy to use. There are no complicated gimmicks or tricks, and it is a great option for new riders. The Sixthreezero EVRYjourney Women’s 26-Inch 7-Speed Step can easily and comfortably be ridden in many terrains including city roads, packed dirt roads, and beaches. The seat is designed with foam that’s engineered to absorb bumps on the road, and the extra wide cruiser cradles your bottom for a soft and smooth ride. It can be easily ridden for miles without pain or discomfort. One particular characteristic of this bike is that it’s designed as a “one size fits all” bike that can fit people of most weights and sizes. It is cool, chic, and classy to say the least. The Sixthreezero EVRYjourney Women’s 26-Inch 7-Speed Step comes in three great colors: cream, navy, and teal. The frame’s shape is gorgeous and gives the bike a classic 1950s look. It also features all chrome components that give it a hint of modernity. Overall, it is one of the better-looking bikes in the list. Buy Sixthreezero EVRYjourney Women’s 7-Speed Touring Cruiser! Q. Can child seats be attached to this bike? You can attach most trailers and baby seats to this bike. However, it depends on the model. Q. Can a basket be attached to this bike? Not directly. However, you can use mounting brackets to mount most accessories. Q. Does it have a rear rack? The Sixthreezero Women’s 26-Inch Beach Cruiser Bicycle combines a modern style with sophisticated features and a neat appearance. This bike is built for smooth upright riding in nearly any circumstance including beach, city, and everything in between. The frame is ideal for upright riding and offers comfort for hours. It features wide chrome-plated handlebars that keep your back and shoulders from becoming sore. The bike fits riders up to 6’2’’ and comes 85% assembled for the passenger’s convenience. The bikes iconic handlebars have a curved design that matches a human’s shape comfortably. Not only do they look great, but they can turn the front wheel at a moment’s notice. This smooth ride features three speeds, coaster brakes, and rubber block comfort pedals. The bicycle frame is made of durable steel, and the tires are made of long-lasting Kenda white wall tires. The strength of the bike depends on how you use it, where you use it, and how you treat it. 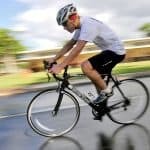 However, most riders will find that it is very resistant even to harsh rain environments. To ensure that your Sixthreezero lasts a lifetime, make sure to provide regular maintenance, avoid rust as much as possible, and ride it on paved roads when you can. This will keep the frame sturdy and the wheels working like new. Super easy to handle and suitable for both new and experienced riders. There are no complicated gimmick, multiple gears, or strange features. It is straightforward and simple – just get on and ride! The extra-wide bubble seat has dual springs that absorb bumps and keep your back comfortable for miles. Sixthreezero prides itself in making a bicycle seat that is comparable to your couch – it’s somewhere you can sit on all day! One of my favorite aspects of the Sixthreezero Women’s 26-Inch Beach Cruiser Bicycle is its classic look. The style is slightly vintage, and the original bicycle comes in a cool cream color that appeals to everyone. The frame’s shape is stylish and, best of all, it comes in 11 attractive colors. Ideal for flat landscapes and upright riding. An excellent option for first-time riders as it doesn’t have complicated gear systems. Requires syncing of the gears when first purchased. 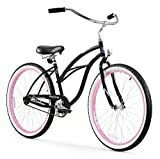 Buy Sixthreezero Women’s Beach Cruiser Bicycle! Q. Can this bicycle be used for day-to-day commuting? -This depends on where you live and how the landscape looks around your area. It is a bicycle with gears is more appropriate if you live in a hilly city or if your commute is quite long. If your route is flat, you should be ok.
Q. There are no handbrakes on the Sixthreezero Women’s 26-Inch Beach Cruiser Bicycle. How do you brake? -Pedal backward to brake. This can feel weird at first, and having no hand brakes can be strange. However, with practice, you can get used to it. There is also an option to install hand brakes if this makes you more comfortable. Q. Is this bike suitable for tall riders? -This bike is suitable for women up to 6’2’’. -Most of the bike comes assembled. Riders will need to install the front wheel, handlebars, and seat. Also, although the gears come assembled, you need to sync them together. However, the overall assembly process is quite simple and does not take long. This cute cruiser is an ideal entry level bike for women due to its simplicity, style, and comfort. It can ride for distances up to 20 miles and is excellent for hanging out with friends, going to the grocery store, commuting to work, or simply riding around town. The Sixthreezero Around The Block Women’s Cruiser Bike is the ideal errands bike that can take you anywhere you need to be in town. The bike is meant for casual riding and fun adventures. It provides a comfortable riding experience with straightforward features that add comfort with every mile. Aside from convenience and simplicity, it offers other great functions that make it an enjoyable ride for every woman. It is small and does not occupy a lot of space, so storage of the bike is very easy. Women of most heights and weights can comfortably use it as it has been designed for every woman. Lastly, the overall aesthetic of the bike it cute, classy, and modern. The Sixthreezero Around The Block Women’s Cruiser Bike is made with a premium steel frame. The top of the line materials ensures that the bike will last a long time and endure different terrains. The Sixthreezero Around The Block Women’s Cruiser Bike can easily last you for years when cared for adequately and regularly maintained. The Sixthreezero Around The Block Women’s Cruiser Bike was designed to be ridden in casual beach settings. However, it is well suited for other environments like paved roads, packed dirt roads, and uphill roads. There are no cables or complicated systems to get used to which provide a smooth ride and makes this an ideal choice for new riders. The seat is cleverly designed to be able to absorb the bumps of the road and keep your bum comfortable. It is extra wide making it great for butts of all sizes! The long handlebars and smart frame design stop you from bending over, helping you keep a proper posture and avoiding back pain. One of the best features of the Sixthreezero Around The Block Women’s Cruiser Bike is the chic and modern look. It comes in four cool colors including Teal Blue, Coral, Light Plum, and Mint Green. It was designed with the modern woman in mind while keeping a slight classic look that appeals to everyone. Buy Sixthreezero Women’s Single Speed Cruiser Bike! Q. Does the bike have a kickstand? Yes, and it can easily be attached and detached. Q. Is it suitable for short riders? The Sixthreezero Around The Block Women’s Cruiser Bikes suitable for people between 5’ and 6’2’’. The weight limit is 350 lbs. Q. Can you attach a baby trailer to this bike? Yes, a baby trailer can easily be attached. In our countdown of the best cruiser bikes to buy this year is the Firmstrong Urban Man Beach Cruiser Bicycle bike takes the cake. This affordable cruiser bike can easily be modified to provide you with all the benefits of a professional hybrid bike. Even in its stock form, it possesses all of the features that most people look for in a bicycle. As its name suggests, the Firmstrong Urban Man Beach Cruiser was designed to be ridden in casual beach settings. However, it is perfectly suitable for a broad range of environments including around town and on paved roads. There are no cables or complicated gear systems which provide a smooth ride and makes this an ideal choice for new riders. Cruising speeds range from 3 MPH to 15 MPH on most roads. There is a dual option for wheel size (26 inches and 24 inches), giving you the opportunity to fit the bicycle to your needs. Choosing the proper wheel size will ensure comfort while riding for extended periods of time. The bigger wheel size is designed to fit riders up to 6 ft tall comfortably. The seat is incredibly soft and durable, allowing you to ride for hours without pain or discomfort. When modified with the proper wheel size, this bicycle will deliver a pleasant and smooth ride. Lastly, the high-quality Kenda tires that come with the Firmstrong Urban Man Beach Cruiser absorb shock from bumpy roads, increase safety while riding and deliver a smooth ride for hours. The bicycle comes in a wide range of colors to choose from: blue, green, yellow, orange, pink, purple, red, black, and chrome. This bike might not be the first thing you think about when looking for a new bicycle, but it is certainly a nice-to-have feature! Besides the color choices, the shape of the bike is fresh, modern, and unique. Overall, this is one beautiful bike that you will certainly fall in love with. The Firmstrong Urban Man Beach Cruiser is made with aluminum and stainless steel, making is extremely durable in all weather conditions. If cared for correctly, this bike will last you a lifetime. More affordable than most professional bicycles. Speed settings can be easily modified to your requirements. Two wheel sizes are available and can fit riders of most heights. Requires some assembly when first purchased. Buy Firmstrong Urban Man Beach Cruiser Bicycle! Q. Does it come assembled? -Most of the bicycle comes already assembled. However, the handlebars, front wheel, seat, and pedals need to be manually attached. Overall, assembly takes less than an hour. -Tall riders should choose the bigger, 26 inch, wheel for improved comfort. This size is ideal for most great riders, and they should not have any issues using the bike. Q. How much weight can the bike handle? -The bike can comfortably carry riders up to 350 lbs. Q. How much does the bike weigh? -The weight of the Firmstrong Urban Man Beach Cruiser bikes is between 38 lb. This beautiful bike is truly one of a kind. This bicycle features an extended frame, forward pedaling, and superior comfort. The Sixthreezero Men’s In The Barrel Beach Cruiser has a three-speed system that uses top-of-the-line Shimano internal gear-shifting. This gear system is one of the most sophisticated and easier to operate. Designed for high-intensity riding, the Sixthreezero Men’s In The Barrel Beach Cruiser can go farther distances than many other cruisers. It also features a robust modern black leather saddle that gives the bike a cool and sophisticated look. Designed for high-intensity riding, this bike can reach speeds of 15 MPH and be used only on Pavement and hard-packed trails. Gear options include a 1-speed, 3-speed, and 7-speed that can ride for up to 20 miles straight. The bicycle is made with premium materials including a steel frame and stitched leader. These materials are top of the line and designed for intense riding conditions. The Sixthreezero Men’s In The Barrel Beach Cruiser can easily last you for years when used correctly and in the terrains described. Don’t take the Sixthreezero Men’s In The Barrel Beach Cruiser on the sandy, snowy, or muddy landscapes. Although it might perform well, it could reduce the lifetime of the bike and damage the gear systems. Although the Sixthreezero Men’s In The Barrel Beach Cruiser has a sophisticated gear design, it is surprisingly easy to use. Even first-time riders can learn and get used to the gear changing system easily and quickly. Overall, this is a well-made product that can be easily used. The Elongated Thick Tube Cruiser Frame and comfortable leather seat make this a smooth and painless ride. The bike features a smooth cruise crank configuration which lets you ride smoothly on paved, hard-packed dirt, or boardwalks. Also, The extra-wide comfort bubble saddle is made with dual springs that absorb bumps and protect your back. Cool, sophisticated, and comfortable. Choose the color that best matches your style; however, the black one is personally one of my favorites since it matches with the class and sophistication of the product. Comes in 1 speed, three speed, and seven-speed models. Cool, sophisticated look that appeals to all ages. Top of the line gear system. For some, no hand brakes is a con. Buy Sixthreezero Men’s Beach Cruiser Bicycle! Q. Is this bike heavy? -The Sixthreezero Men’s In The Barrel Beach Cruiser weighs 40 pounds. It is lighter than most other cruiser bikes. Q. Do you have to back pedal to brake? -Yes. There are no hand brakes on the Sixthreezero Men’s In The Barrel Beach Cruiser. Back-pedalling is the only way of braking this bike unless you install optional hand braking systems. Many riders believe that, once you get used to pedaling brakes, they are much better than hand brakes. Q. Does a kickstand come with the bike? -Yes, a kickstand comes separately and needs to be attached. The final cruiser bike on our list is the Sixthreezero Around The Block Men’s 26-Inch Single Speed Cruiser Bike. It is not one of the lesser known bikes in the market, but it does offer some great benefits over the popular ones. This edgy bicycle will let you ride in comfort and style. It is a single-speed cruiser bike ideal for casual riding around the neighborhood and for commuting. It is designed with a 19-inch durable steel frame and aluminum wheels. It comes in a single style (black) and is a sophisticated and classy alternative to bright colored bikes. A smooth ride is made possible by specially designed tires which feature waffle tread and Black double-walled rims. Not only does this ensure a smooth ride, but it looks amazing. As you can see, there is no handle brake, pedal-backward coaster brakes are used for stopping. The handlebars are wide and made with high-density foam for a comfortable grip. Lastly, it comes with a convenient rear rack for all your carrying needs. This bike is ideal for riders who would like to use it for a daily commute. It is comfortable, fresh-looking, and extremely durable. It fits most riders comfortable and it designed for heights up to 6’2’’. The main materials of the Sixthreezero Around The Block Men’s 26-Inch Single Speed Cruiser Bike are steel for the frame and aluminum for the wheels. This is excellent as it ensures that the wheels last you a lifetime and don’t get easily rotted. Give regular maintenance to the bike for best results. Ensure that the tires are properly inflated and avoid riding on low air pressure. Don’t ride the bike on terrains that it is not suited for such as dirt roads and mountainous areas. This will ensure that the Sixthreezero Around The Block Men’s 26-Inch Single Speed Cruiser Bike lasts for many years. There are no gears, so there is practically no learning curve for riding this bike. It is as easy as mounting and pedaling. The only thing you might need to get used to is the braking, which is done via backpedaling as opposed to hand brakes. This might be tricky to learn if you are used to hand brakes; however, with a bit of practice, you will get it in no time. The seat is specially engineered to absorb the most jostling of bumps. It is made of extra-cushiony foam materials and is made extra wide which allows for comfortable sitting for miles. It is simple, classy, and sophisticated. There are no complicated designs, bright colors, or weird accessories. It is as simple as it can be which is very attractive to many people. Time and resources were allocated into the design and performance of the bike as opposed to the look. With that said, the bike still has a cool appearance that appeals to most people. Comfortable oversized seat with extra cushion. 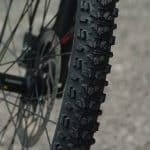 Wide semi-slick tires allow smooth riding in a variety terrains, including paved surfaces and hard packed trails. Buy Sixthreezero Men’s Single Speed Cruiser Bike! -It requires some assembly (handlebars, front wheel, etc. ); however, it is quite simple. Q. How much weight can it handle? Q. Where are the bicycles manufactured? -Sixthreezero company is based out of California, but the manufacturing is done in China. Frame materials: Look for a bike with a durable material such as steel or aluminum. Depending on the material, the price of the bike will vary. However, the higher the quality of the frame, the longer it will last. Seat: This is possibly one of the most comfortable features of the cruiser bike. You will likely spend a lot of time sitting on it so you might as well be comfortable in it! Easy to use: Fancy and complicated gears don’t always mean higher quality. Opt for a bike that is easy to use as opposed to one with too many gears that you will likely not need. Man vs. Woman: As many of you probably know, the design and the frame for women’s bicycles is different than men’s. The most obvious feature is that men’s bicycles tend to have a straight top tube, while women’s are slanted. Historically, the purpose for this was so that women could ride bikes while wearing long skirts and dresses. Single-speed vs. multi-speed: consider the landscape where you live. Are you in a mountainous area? Then you should opt for a bike with at least 3 speeds. If you live in a flatter town, then single speed should serve just fine. With over ten years of bike riding experience, I’ve gone from a pink princess-tricycle to a mountain bike and everything in between. My passion for this fantastic sport has led me to try different types, styles, and brands to help me figure out what’s right for me. This process took hours of researching, asking around, trying them out, and finally making a decision. To help you make your process less painful, I’ve decided to put my findings on paper for your benefit. I may not know everything there is to know about cycling, but I’ve learned enough to help me make a decision that I am still very satisfied with today. Whether you’re looking for your first cruiser bike, or you’re an avid cyclist with years of experience, and you’re looking for a new model, this guide is for you. Both men and women will benefit from this handbook since I will be covering models that are suitable for both genders. Moreover, I will be going through cruiser bikes for every budget, including the lower-priced models and the thousand dollar bikes. This detailed guide will cover nearly every aspect of cruiser bikes, rank them by performance and price, and give you the pros and cons of each. Overall, this guide will benefit nearly everyone who is looking for a new purchase. A cruiser bike is an excellent alternative to a mountain bike. Cruiser bikes are one of the simpler bikes to use, maintain and ride. Getting one is an excellent choice for those that need a simple and comfortable commute. The obvious health advantages are more than enough reason to get on a cruiser bike. They are a great excuse to get out, get active, and get social. If you are looking for comfort, ease of riding, and want to avoid all the complicated features that come with mountain bikes, cruiser bikes are the perfect choice for you. Safety gears such as a good quality helmet, gloves, and knee pads. These accessories can make your commute easier and more enjoyable. Buying a new bike can be overwhelming, which is why this guide is the perfect source for all your cruiser bike needs. If you’re in the market for a new 2016 cruiser bike, then this will certainly help you make up your mind. Rest assured, whatever your cruiser bike needs are, there is probably a perfect model out there for you. Cruiser bikes have the best of both worlds. They are the perfect for both long distances and for short commutes. They can be used for endurance training, grocery shopping, and everything in between. The tires on a cruiser bike are ideal for pavement and packed dirt roads, and offer greater stability and durability than other bikes. They often come in a variety of sizes and are adjustable to the rider’s height. The handlebars are long and curved, keeping your back straight and protected from injury while riding for long periods of time. This is ideal for commuters as it allows them to commute daily without suffering from back pain. The handles are often cushioned and soft for greater comfort. These bikes, overall, are ideal for people who are starting to explore the world of biking, or already have a few years of experience under their belt. Make sure to drive it only in the terrains specified. If it is specially made for pavement, make sure you stay on paved roads and avoid getting on muddy grounds. Also, if you live in a snowy city, try to keep it out of the road in winter. The salt in the streets can cause rust on the frame and gears and damage the bike over time.